The T3 generation of the Volkswagen Type 2 , also known as the Vanagon in the U.S., as the Transporter or Caravelle in Europe, and also to some in Britain and Ireland as the T25, was built from 1980 until 1991. It was the last of the rear-engined Volkswagens. Compared to its predecessor, the Microbus, the Vanagon was larger and heavier, with square corners replacing the rounded edges of the older models. The Vanagon was built to be the modern successor to the Microbus. Unfortunately, the vehicle was somewhat underpowered in relation to its curb weight. Versions of the Vanagon produced in South Africa from 1990 until 2002 featured a 5-cylinder Audi engine which helped performance greatly. Installing engines from more powerful vehicles — including gasoline and turbo diesel inline-4 Volkswagens, Subarus, Audis, and even Porsches — is a solution pursued by some owners. Most early Vanagons had chrome-plated steel bumpers with plastic endcaps; later years had larger and squarer plastic bumpers. Very early models (all 1980 models, some 1981) also had 8 welded-in metal slats covering the engine ventilation passages behind the rear windows. All later models had black plastic 16-slat covers that slotted in at the top and screwed down at the bottom. There were three general gasoline engine variants between 1980 and 1991, with several sub-models. All were pushrod horizontally opposed engines. 2.1 L (2100cc) (95bhp) (Serial # MV) Wasserboxer, used until the end of Vanagon importation into the US in 1991. This engine used a more advanced fuel injection system known as "Digifant II". 2.1 L (2100cc) (112bhp) (Serial # DJ) 10:1 compression ratio, Digijet injection, only sold in European countries not requiring catalytic converter. The Wasserboxer featured an aluminum case, cylinder heads, and pistons, and a forged steel crankshaft. It also featured Heron, or "bowl-in-piston" type combustion chambers where the combustion takes place within the piston area, and not the cylinder head. The WBX featured cast iron cylinder liners inserted into a water jacket with a "rubber lip" style head gasket, which is a very different design as compared to most vehicles. The top of the cylinder liners is pressed into a recessed cut-out in the cylinder heads, that are sealed with compressible metal rings, to prevent leakage. Some Wasserboxers were plagued by head gasket failures due to several design issues. The alloy used for the construction of the cylinder head was erroneous and had a weakness to heating, thus, when reaching temperatures over 90 degrees, the metal composition would shrink and crack, allowing water from the cooling system to flow into the oil. Engine failure was also a result of poorly placed sensors, corrosion in the cooling system and many areas subjected to leaks. This engine is representative of the fact that boxer 4 cylinders produce a low pitch rumble, rather than a high pitch buzz/whine, when running. Some find this aspect of the engine to be pleasing, owing to the dislike of the "sewing machine" sound of I4 engines. The switch to water-cooling for the boxer engines was made so abruptly mid-year in 1983 because VW could no longer make the air-cooled engines meet emissions standards. (The previous generation T2, currently produced in Brazil, has been switched to water-cooled engines since December 23, 2005 in response to Brazil's emission laws; the powerplant used in the previous-generation T2 is an Audi-sourced inline four.) 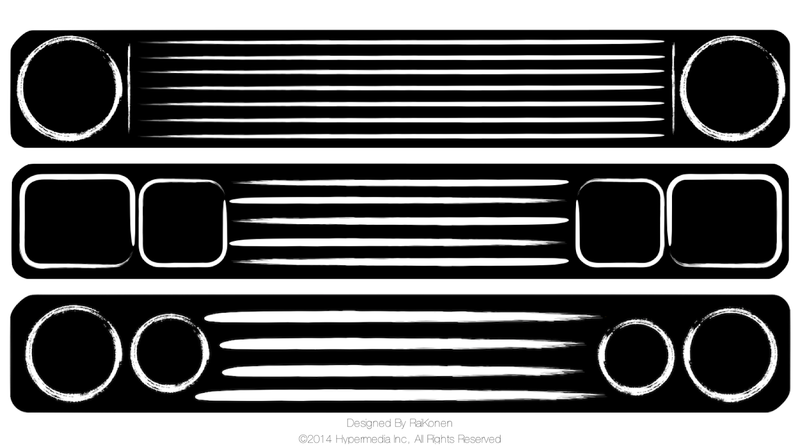 Water-cooled models can be distinguished by a second radiator grille. In contrast to the standard flat-4 gasoline engines, all diesel options were of an inline configuration. 1.6 L (1588cc) (48bhp) Naturally aspirated Diesel inline 4, available in the US on 1982 models only. 1.6 L (1588cc) (70bhp) Turbocharged inline 4. 1.7 L (1700cc) (54bhp) Natural aspirated inline 4. 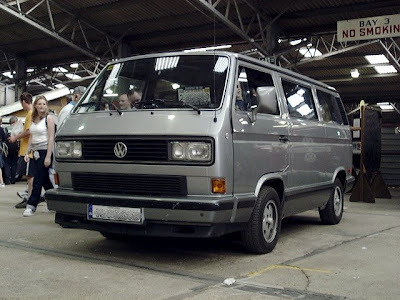 A diesel variant of the Vanagon was also available and widely sold in some markets. Unfortunately the early models had a 1.6 L (1,588 cc) (48 hp) (Serial # CS) SOHC Inline 4 engine which rendered the van severely underpowered, with a top speed somewhere around 100 km/h (62 mph). This shortcoming was later corrected, however most likely for this reason in the North American market the diesel Vanagon was discontinued after three model years between 1981 and 1983. Later models received a diesel engine of the same displacement but turbocharged, which vastly improved driveability. Fuel economy of the diesel was significantly higher than that of the gasoline model, often approaching 30 mpg US. Because of the engine placement, a Vanagon has very nearly equal 50/50 weight distribution fore and aft. A four wheel drive version of the Vanagon (called the Syncro) was manufactured in limited numbers from 1986 through 1991. With a short wheelbase and 50/50 weight distribution, these vehicles have surprisingly good off-road capabilities. 1980 to 1985 models had round sealed beam headlights. All subsequent models for North American and European markets had smaller square headlights, with the primary lights outboard and high beams inboard. Later models from South Africa returned to round headlight housings for both the primary headlights and high-beams, and the South African grille/headlight combination is a popular aftermarket accessory. The Vanagon was replaced by the EuroVan in the US market in 1993 (1992 saw no VW bus imported into the U.S. market, save custom campers sold by companies other than VW). With the engine and transaxle mounted very low in the back, the Vanagon had much larger disc brakes in the front, and drums in the rear. Unlike the Microbus before it, the Vanagon was available with amenities such as power steering, air conditioning, power door locks, electrically controlled and heated mirrors, lighted vanity mirrors, and a light above the glove box (most of which were essentially standard equipment in later models). The Vanagon air conditioning was, rather un-conventionally, of the "hanging" type. That is, all components of the air conditioning system that are internal to the vehicle hang from the ceiling. The air conditioning housings are infamous for cracking and falling down after the vehicle has gotten older, and there were even recalls issued to address the problem. Starting with the 1986 model year, there was available a greatly improved air conditioning system that not only does not suffer as badly from the cracking housings, but also does a better job of cooling the interior of the van on hot summer days. This later system features an "airliner" style plastic duct that runs the length of the vehicle in the center with adjustable outlets at set intervals, rather than cooling the entire rear section via a single bank of outlets facing aft above and behind the front seats. The controls are above the sun visors in the front of the vehicle for both systems. And the air conditioning ductwork for the later years was, arguably, a much more attractive color, being grey instead of beige. The grey color housings hold their color better than the beige, which tends to yellow considerably over a several year period. This was one of the few vehicles ever in which the automatic transmission was tougher than the manual transmission, which was caused by the fact that, up until the 1990 model year, the 3-4 Gear Synchro Slider Hub was of a flawed design. This could result in cracking, or even breakage, causing the transmission to get stuck in 3rd or 4th gear. A new 3-4 hub design less susceptible to stress fractures was implemented sometime in late 1989, first showing up in early 1990 model year vehicles. The automatic was a standard hydraulic 3-speed unit, the same 090/010 unit as used in Audis of the era. These featured an aluminum case for the transmission section, and a cast iron case for the final drive section. The 091 manual transmission was a 4 speed unit, featuring a lightweight aluminum case. The automatic features a 1.0 ratio top gear, while the manual features a 0.85 top gear. The Vanagon has some unusual features, such as the fact that the brake master cylinder is inside the dashboard. In order to get at the brake fluid reservoir, one has to remove the instrument cluster cover and exercise great care when filling the reservoir so as to not spill brake fluid all over the instruments and dash wiring. This can also make replacing a failed master cylinder difficult. The battery in gasoline-powered models is located under the passenger side front seat, to protect it from the elements. This makes finding it for the first time a bit of a challenge. There is a compartment of equal size under the driver's side seat, for a second battery, which wasn't present except in the case of certain "Weekender" camper models. The oil filler tube for the engine is located behind the flip-down license plate door, and this requires extra care when pulling into a full-service gas station, as the gas station attendant will most likely try to put gasoline into the oil unless instructed otherwise, as the caps are not clearly marked. Most early vans had a twist-on/off gas cap right on the outside just under and behind the passenger side door. A locking cap was optional, but like other amenities, became very common on later models. The spare tire lies in a tray under the very front of the van (as the engine is in the back), just below the radiator. To get the spare out, one must undo a 19mm bolt in the bottom of the front bumper, pull a small latch back, and swing the tray down. Vanagon, which featured vinyl seats and a very spartan interior. Vanagon L, which had optional cloth seats, more upscale interior panels and an optional dashboard blower. Vanagon GL, which had the nicest amenities (mentioned above).